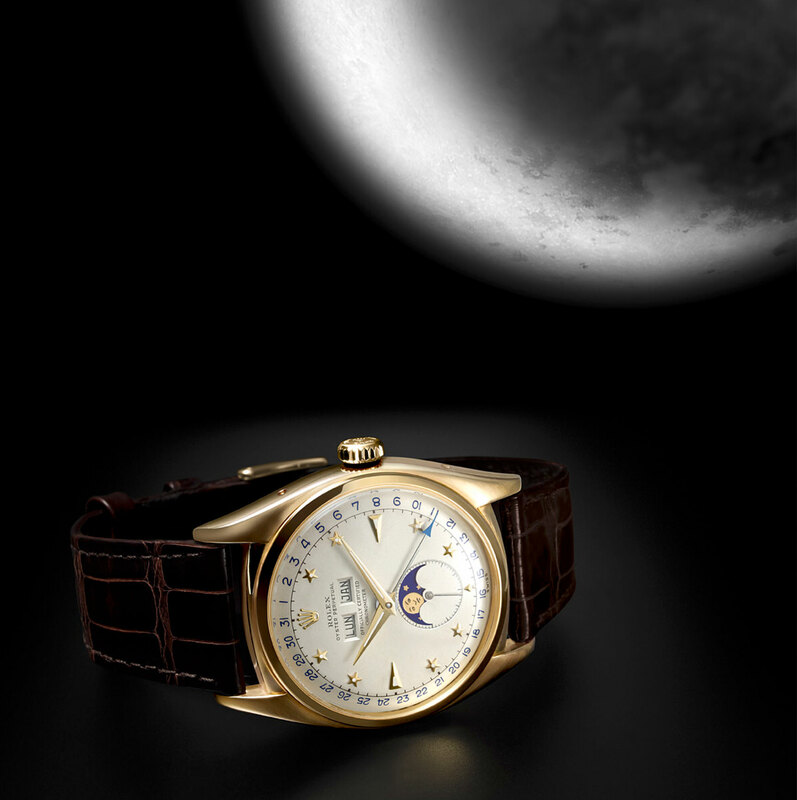 The first Rolex model displaying a moonphase indicator was launched in 1949. The following year, Rolex introduced the first version with a waterproof Oyster case. The new Cellini Moonphase is a contemporary reinterpretation of timeless elegance. 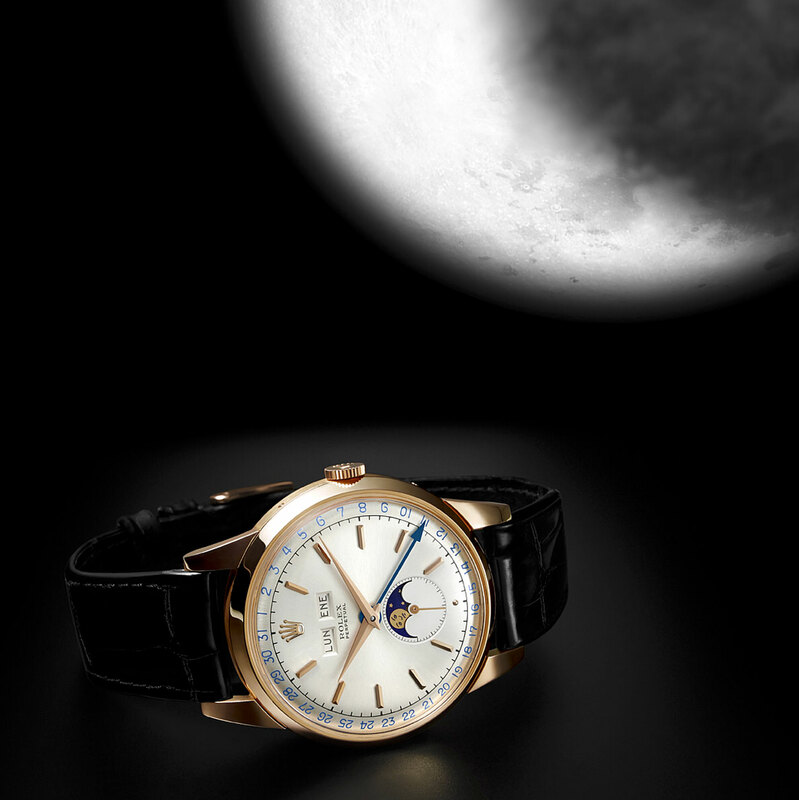 #Rolex #CelliniMoonphase #TBT For more details about the Cellini Moonphase see the link in the profile. The images below show the three Rolex Moonphases from the Instagram post. Rolex begins with the Reference 8171, then shows the Reference 6062. The fundamental difference between the Rolex Moonphase Reference 8171 pictured above, with was from 1949, compared to the Reference 6062, which is seen below, and is from around 1953, is the 6062 features a waterproof Oyster case, whereas the 8071 (pictured above) is not housed in a waterproof case. 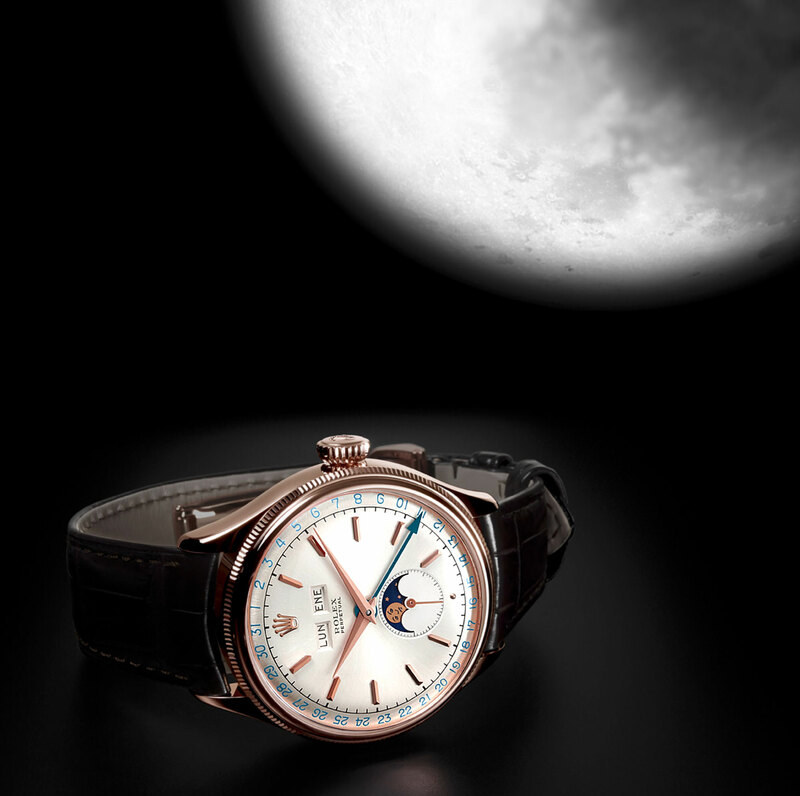 The image below shows Rolex's current modern interpretation of the Moonphase, which comes in the form of a Rolex Cellini version. 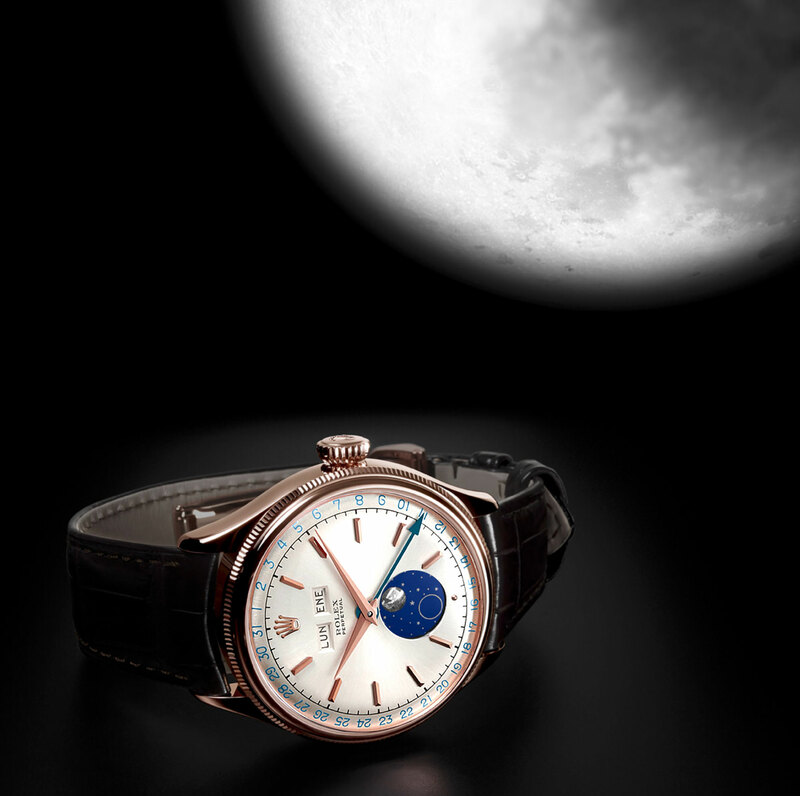 What do I think about the current Rolex Cellini Moonphase? I think it is a great step in the right direction, but I also think there is tremendous room for improvement. In my opinion as a designer, it has way too much going on the dial and lacks the Day and Month aperture windows. In the image below I superimposed the Day and Month aperture windows on the current Moonphase, which I think makes it look way better. Also, I would replace the sword hands with the original Dauphine hands seen which came standard on the Rolex moonphase reference 8171 and 6062. I am working on a story titled, "The Complete History of The Rolex Moonphase", which I will go into great detail on these magnificent Rolex watches. I have been saying for a long time that Rolex should bring back the complicated Rolex Moonphase models, so when they recently introduced them at BaselWorld I was happy to see the return of the moonphase.